Goal Setting: Make it Count! As we are getting ready to wrap up 2018 and we reflect on the year behind, what better time to look ahead to 2019 and dream up what we want to achieve in the coming year. As you evaluate what went well and what didn’t go well, it’s only natural to think about how you might do things differently in the coming year and set some goals for what you want to achieve. If you haven’t yet sat down to consider what 2019 has in store, NOW is a great time! Goals are what get us up in the morning for masters swim, push hard through one more interval when we are tired, and focus on healthy eating that supports our training. Goals provide focus, guidance and motivation; encouraging us to move toward them with enthusiasm and desire. Personal development research and self-help theories offer an over-abundance of goal setting advice. The one thing they all agree on is that goal setting is critical to success. Without getting into all the research here, I’d like to focus on two basic categories I find most helpful when assisting athletes in setting goals. Setting goals for the short term and long term can take some time, especially if you are new to endurance athletics as we don’t even know what our bodies are capable of achieving and then also what races or experiences might be available to us. The great news is that goals are amendable... you can change them to align with your direction as you grow in the sport. Notice each of these has a specific time frame for which to achieve the goal in a short term basis. Long term goals are also time specific, however, will take longer (think years) to achieve and often encourage us to look 2-5 years down the road. 1) I will complete my first sprint distance triathlon this year and then do that same race over the next 3 years and improve 1 minute in each discipline per year. 2) I will improve my 40K Olympic distance bike time by 2 minutes (or 30 watts) over the next year. 3) I will finish a sprint triathlon this year, an Olympic distance in 2020, a half-Ironman distance in 2021 and a full Ironman in 2022. Process goals are designed to support both short term and long term goals, as these are both outcome goals. We can establish several process goals that if achieved, will help us achieve a bigger goal, our outcome goal. Process goals are what we focus on day in and day out that lead us toward achieving a desired outcome. Let’s consider one of our short term goals from above. 1) Goals need to be in the positive, focusing on what you want (eat 5 servings of fruits and vegetables a day), as opposed to what you don't want (stop eating junk food). 2) Goals are YOU dependent, not other dependent. Notice not a single one of the goals I used for examples above depends on anyone else but YOU. Your main goals should be within your control. It’s fine to say “I want to place in my age group at X event”, however, if a lot of fast people show up, you might not get to achieve your goal. Instead, create a process and outcome goal for that X race that, regardless of your place, you determine if you met your goal. I encourage you, if you haven’t done so already, to sit down (this might take a while) and write down your goals for the year (and beyond! ), keeping in mind the categories and guidelines above. Once you have these established, solidify them by creating a goal poster or goal road map, putting sticky notes on your bathroom mirror, or setting up reminders in your phone to follow through on your process goals. If you do this, you will have increased motivation for training, excitement as you execute on your process goals, and a grand sense of achievement when you put in the work and see those dreams become reality on race day. To set up your personal goal setting session with one of our coaches or to learn more about how we can help you achieve your personal best in 2019, click here. For a reference point, I did a swim set with the group where we did multiple pyramids of 100, 200, 300, 200, 100s. During one of the hard 300s I went 3:59 which is 1:20y average. I was swimming VERY hard to hit those times. After discussing on what drills I needed to work on to fix my catch phase and balance, I reduced my weekly swim volume by 50% and didn’t swim repetitions over 100 yards. Every swim was focused on executing the swim drill over a 25 and putting it together into a 25 freestyle. More swimming wasn’t the answer to my technical issues. What did I notice through this process? Let Madison Multisport save your swimming! If you are interested in making improvements in your swimming, we offer Masters Swim Classes, Beginner Swim Class, or 1:1 Swim Lessons. What’s also nice about TTT? I have inside knowledge into how to prepare and race it. How? Cindi has WON this event. Cindi has always encouraged me to race TTT and having that type of knowledge from a previous champion is second to none. Importantly, Triple T provides me a lot of motivation. Its going to be very challenging. It’s also different than what i’ve previously done. My interest has been leaning towards adventure races, long trail runs, Canada Extreme, Swissman, Norseman type of events. I’ve always enjoyed the opportunity to hear the elites in the sport talk about how they train and race. Getting a glimpse into their training, recovery, and mentality is often invaluable. I’m always looking to glean tidbits of information to incorporate into my training and life. Something that has never resonated with me though, is the idea of using your competition as a source of motivation. For the majority of us, triathlon is a very individual sport. We train to race as fast as we can, maybe set a PR, and hopefully have some fun. I love racing, but (so far at least) I’m not routinely hitting the podiums. I’m usually just trying to be as fast as my fitness will allow, and when it allows, hopefully a little faster than the last time. But I couldn’t tell you what percentile I finished in, or who beat me and by how much. I have no nemeses, it’s just me. The motivation that some take from “doing what the competition is not,” just never made sense to me. Who’s the competition? September 1 marked the beginning of a new “season” for me, after taking most of August off to have fun, unwind a bit, and give an injury a little focus. I had a 2-hour ride with 3x15 minute efforts on the schedule for the day, and to make the most of my session, I hopped on the indoor trainer and got ready to work. And as I started my warmup, I realized I do indeed have competition to motivate me, and this year I aim to crush them. (unfit)Justin. Now (unfit)Justin (aka overweight and out of shape Justin) is pretty sure triathlon is just a thing crazy people do in Hawaii, Gatorade is involved, and sometimes it’s on NBC. He’s sitting on my couch, playing video games and watching Parks N Recreation on Netflix, eating chips and drinking a beer. (unfit)Justin hasn’t actually been real competition for a while, but certainly continues to provide motivation. (fun)Justin. (fun)Justin skipped the 2-hour ride and instead rode the cross bike around Lake Monona. He still got some training in, and also probably got distracted by TV and or other shenanigans. You might not expect it, but (fun)Justin can still throw down a fast time at a sprint triathlon without too much training. But a little extra beer, M&Ms, and consistent lack of quality sleep will keep (fun)Justin out of contention for any PRs indefinitely. (unfocused)Justin. No real goals or plan. Is totally committed, except for not really, as there isn’t anything on the schedule. (unfocused)Justin went outside and rode for a couple hours, but “forgot” to do the 3x15 minute efforts. He tries but lacks consistency and commitment and is full of excuses. He’s also easily distracted by (fun)Justin (I mean, who isn’t, that guy is great). (SUPER)Justin. (SUPER)Justin, despite the intimidating name, overdoes everything. Never misses a session, eats super clean, never eats BBQ sauce or drinks beer, and goes to bed by 8. (No BBQ -what kind of life is that?) (SUPER)Justin is fast, fit, unrelenting. But also cranky, neurotic, and his burnout potential is high. (he and (fun)Justin do not get along…). The competition now identified, we return back to the trainer, first 15-minute effort underway. I look over to (unfit)Justin on my couch, relaxing. I finish up my session feeling great, I work on some bonus strength work and even do my PT. I eat and drink focused on recovery. I relish in the mild euphoria that follows a hard effort. And just as I start comparing myself to SUPER(Justin), I instead keep some balance and head out to hang out with (fun)Justin for the night (like I said, that guy is a fun time). The competition is out there, they aren’t doing what you are doing, and that’s a good thing. Learn more about our Fall Running Program and Beginner Swim Program Here! The weeks leading up to Steelhead were not an ideal build, and I had no idea what to expect on race day. The last time I felt really “good” in the build up was early July, where I had a great race at Pardeeville Sprint Triathlon. But as the season moved deeper into July, I just didn’t feel quite as strong heading into Door County Sprint. I was happy with my Door County result, but still didn’t feel like I had pushed as hard as usual. Fatigue was building, but I didn’t necessarily recognize it and powered on. I had signed up for a relay race with Carly and my dad at Door County, and I ran a hot ½ marathon the day after the Door County Sprint. I finished and gave it my all, but it was a huge effort. In hindsight, it was probably too much. From there on, it was all downhill. I found myself getting more and more tired in my training and wasn’t able to complete workouts. It wasn’t that I didn’t want to do the work, it was that I felt like I physically couldn’t. Of course this physical fatigue fed my mental paranoia, and soon I was dreading an impending 70.3. I hit a low point at the end of July-- just 2 weeks before the race. At that point, Cindi reached out to see what was going on and how we could adjust my training. We knew we needed to just get me to the start of Steelhead ready to race. Cindi assured me that I had done the work, so I ended up taking two weeks with a lot of rest days and just a few shorter, lower intensity workouts. When I made my race plan for Steelhead, I tempered my expectations a lot and made it my main goal to have fun. I threw previous time goals out the window because they were causing me stress, and if I was stressed about workouts and races, why was I doing triathlon? Race morning rolled around and we got the dreaded announcement that the water was 76 degrees and would not be wetsuit legal. Swimming is my weakest discipline and despite trying to mentally prepare myself all week for this possibility, I was anxious. I had already made up my mind that I would not go in the wetsuit wave at the end. I didn’t want to stand around waiting to start for any longer than I had to. As I left my wetsuit in my transition bag, I was already seriously doubting that choice. By the time I got to the beach and really looked at the waves, there were tears welling up in my eyes. I knew in my head that it was silly to be crying over a triathlon and that I would be fine, but I couldn’t help it. There was not going to be anything fun about this. Before I knew it, I was diving into the water and quickly taking on water. I stopped a few times in the first 200 yards to cough up lake water as I got used to breathing with the waves. The water was rough and I put the “big arm recovery” from open water swim to good use. I knew I wasn’t going fast, but I was making good progress and keeping my head in a good place. Each time I thought something negative like, “If I stop swimming right now I’m just going to get swallowed up by a wave and end up at the bottom of Lake Michigan,” I would try to shut that out and find a mantra or song to repeat in my head for a few minutes. Eventually, I made it out of the water. I have never been so grateful to be done with a swim. Getting on my bike, I knew that my ultimate goal was to ride 2:45. In the first 10 miles, I was disappointed because my power numbers were lower than I had targeted. The course was flat enough that it was hard for me to put out big power, but I focused on riding really steady and staying in a good aero position. My normalized power was hovering around 160 watts. When I had run the numbers in Best Bike Split (accounting for a bit more wind than we ended up having), I thought I needed to ride closer to 180 watts to meet my time goal. But I kept moving and passed a lot of people who swam faster than me, and my speed was faster than I expected. My watch is set to autolap every five miles and I was seeing numbers that were at or under 15 minutes per split, meaning I was still on goal pace. This motivated me not to let up for the second half. Coming into transition I didn’t get a good look at my watch so I had no idea if I officially met my goal or not of 2:45, but I knew it was close enough to happy with. Starting the run, I couldn’t believe I still had a half marathon ahead of me. I had just done my hardest swim and riden my fastest bike ever. As I got out on the course, I saw Bobby, who let me know I biked 2:41, and it was a big mental boost knowing I had smashed my goal time. For the first couple of miles, my legs felt good and my heart rate was under control running right around 9 minute pace. Not quite where I wanted to be, but I knew it was a hot day. It was now almost noon and there was no hiding from the sun or heat. It wasn’t going to be my fastest run ever, but I was still in a good place physically and mentally. I stayed in my positive mindset and tried to say something to each person I passed--”good work”, “looking strong”, “way to go”. This is my favorite way to distract myself from thinking, “you’re tired and slow, you should walk”. I steadily clicked off the miles and fed off of the positivity of the other runners and the fantastic volunteers. But by the last mile of the run, my legs were in rough shape and I couldn’t wait to be done. As I approached the arch, the announcer asked, “Lauren Taylor, are you ready to cross that finish line?! ?” I yelled as loudly as I could with a huge smile on my face. I had done it! I finished with a new PR on a tough day. Not only did I meet my goals, but I had fun and pushed outside of my comfort zone. Safe to say, I was enjoying triathlon again. 1) Don’t change your diet the week of the race. This is not the time to go Keto in hopes to lose a few extra pounds of water. We are nervous and rested which means we have extra time on our hands to think. If you simply continue on your healthy meal plan on high quality carbohydrates, fats, and proteins you are set. 2) Don’t pretend you are a camel. If you consistently drink 80oz of fluid a day, don’t think that drinking 120oz will help you have more fluid on race day. In fact, the only performance it will increase if your ability to urinate in the middle of the night. What you should be doing is hydrating at the same amount but add in electrolytes in the form of Nuun, Skratch, or Osmo to your water bottle. These products are low in calories and high in electrolytes. Adding a small level of glucose to your water actually increases your hydration levels. 3) Don’t neglect carbohydrates the day before the race. Have you ever heard of carbo loading and how it’s an out dated method? Its not and its very effective for endurance athletes. If you neglect carbohydrates the day before the race, for whatever reason, your performance will suffer. Your race is powered by your brain, engine and muscles which are all fueled by carbohydrates. Don’t show up to the start line with a tank thats low on energy. 5) Don’t expect miracles to happen on race day, doing so is why people end up underperforming. If you have never broken 2:00 for a half marathon but you expect to on race day there is a 100% chance you won’t, unless the course is short. Tapering and peaking could give you an extra 2-3% on race day but you should expect to do exactly what you’ve seen in training. When you have unattainable goals it will only provide insecurity and additional stress. What your mind is thinking during the race dictates how your body will feel. If you are constantly frustrated that you aren’t performing where you “think” you should be, your expectations are too high. Thinking negative thoughts will create muscle fatigue and your central governor turns on to protect yourself. However, if your expectations are in line with what you’ve previously done you will be thinking happy thoughts. Happy thoughts leads to you crushing it on race day and high-fiving countless spectators. This is such a simple concept but its the root of countless bad performances. All in all, this entire post can be summarized into the well known saying: Dont Do Anything New on Race Week! About 400 yards up the road, the brake lights from the lead vehicle snapped me back into the moment. He went straight, I would go left, and I now knew I was close and going to make it. The road was smooth and I picked my line, doing my best to keep turning the legs over as I put in one last dig. I was closing quickly and now heard for the first time the muffled din of music from transition, punctuated occasionally by the PA announcer calling out the last of the swim waves. Approaching transition, I quickly inventoried all the fancy metrics I had been ignoring-- normalized power, heart rate, average speed and distance. Today, they simply didn't matter. I was riding as hard as I possibly could, all out, and I didn't internalize them, didn't process my data. What mattered was that I was at my limit and just chasing for that little bit of extra effort and speed. This is what makes sprint racing awesome-- the fact you get to chase competitors on the road, not a power number, and those times when you "blow up" are just part of the deal. And today, things were looking up. Roughly 9 miles earlier in the ride, I had made a big tactical decision at the turnaround. I knew that same tailwind that pushed us out had set us up for a return leg of 9 miles into a headwind and would make for a tough closing stretch for everyone. I had worked my way steadily through the field on the outbound leg, sensing that no one on the road had the bike legs to come with me. I also knew that because it was hot and humid, the run would be a wildcard . Someone from the field might be sitting on blistering 5k-- but I definitely wasn't setting on any 5k PRs today. So my best play was to put as much time into the field as possible before T2, and I needed to make something happen. I have done a lot of Zwift racing in my training in my buildup this year, and I've launched some pretty big (and definitely some pretty dumb) attacks from the safety of my trainer. I've also learned a lot of lessons along the way about tactics and my own psychology. Some moves stick, some don't, but that is racing, and that is what makes it fun. Each time, there comes a moment where I inevitably say myself… "screw it, let's do it!" and I commit. That moment came just after the turnaround, where I pulled into first, put in a big dig, and went all-in on the attack. I decided that if anyone was going to catch me, they were going to have to do it on the run. It was going to be a painful 20 minutes of riding if I was going to hold on to T2. Fast forward then back to the entrance to Frank Murphy park. A small crowd of spectators had formed and in a moment I was on them, hanging a hard left, and rounding back towards bike in. I looked back briefly down the road to see if anyone had stuck around. No one was in sight. The attack had worked. I had averaged just under 26 mph for the ride-- an all-time best ride for me-- and the fastest bike split of the day. It was a short stretch of pavement from the turn to the dismount line so I had to move quickly. I unvelcroed, removed my right foot, then my left, and I swung my right leg over and behind my seat to set up my dismount. As I have visualized and practiced hundreds of times (I literally do this after EVERY ride, even on the trainer in the dead of winter), I dismounted cleanly and in-stride. I racked my bike, slid my shoes on, grabbed my cap and belt and was away. I heard the PA announcer as I passed through run out say that "we just heard that the first athlete is in transition and heading out onto the run course," and I grinned ear to ear heading out onto the empty 5k course. It was a lonely out-and-back run on an exposed and hot country road. I ran scared, not knowing how strong the runners in the field behind me would prove to be. I pushed it as hard as I could, but could feel that I was paying for my bike effort and the heat was taking no prisoners. I focused on a quick cadence and allowed myself to look backwards to see if anyone was behind as I clicked off my first mile in 6:20. Still no one in sight. I got to the turn-around, and then almost to mile 2 before seeing the next runner on the road. A little mental math told me I was up a couple of minutes, but I knew someone could still come out of the age group waves. My watch beeped 6:22 and I allowed myself passing through mile 2 to finally imagine myself winning the race. The countdown and mental negotiation began in earnest with just a mile remaining. Just six more minutes! I thought about all of the track sessions, winter runs, and late night treadmill runs while travelling and at hotel gyms that had lead me here. Just 4 more minutes. You love running, I reminded myself. Just half a mile. That's not even a loop of the bike path around the park at home. Just to the arch. So close. Just down the hill. Finally, I stole one more look back to make sure I wasn't going to get out-sprinted and saw the finishing tape in front of me. I've never broken the tape before, so it was a special experience. Definitely unreal. I grabbed it, slammed it, and took a bit of time to soak in what I had just accomplished. I had just won the freaking race! I still tempered my expectations a bit, knowing that a winner might still come out of the AG waves, as I had started elite. I didn't let myself get too high until the final results were posted. My time held up, though second place came from a later wave. In the end, I got my crystal lighthouse, capping off a nearly perfect race for me. 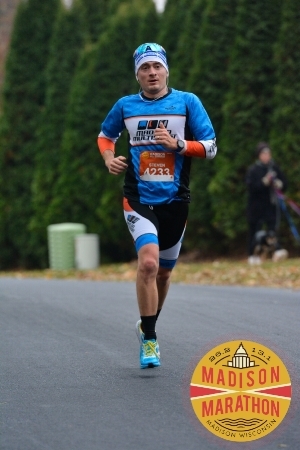 Coming in, I knew I wanted to finish under 1:10, and finished in 1:09 high. Based on past results, most years, 1:08-1:09 is good enough to win. Had it turned into a footrace, could I have gone faster? Maybe, but I didn't have to. Ultimately, in that heat, the race was won on the bike. I minimized my losses in the water, raced to my strengths, and held it together on the run. What a day! What a race! What a weekend! Racing is awesome. Mixing it up, pushing your limits, failing and succeeding are all part of the game. I've learned to embrace each part of it, the ups and the downs, and learn from each time I toe the line. Swimming matters: You can't win a race in the swim, but you can lose it. I've been swimming a lot more this year and a lot harder, trying to minimize my losses out of the water. I'm not where I want to be yet, but I'm definitely improving and my swim has kept me in the hunt. Zwift (trainer) riding and gravel riding translates well to TT'ing: I choose to ride indoors or off of the roads whenever possible. It's a personal choice, due to both schedule and safety. This means that 3 hour weekend and late night Zwift rides are a staple of my training. We're also blessed with great trails in Madison (Military Ridge/ Badger State) and I'm trying to ride more gravel as a way to get outside. The run remains a work in progress and is the next area for improvement: I've been running well, but not to potential. I know this will come with more experience and training. I crossed the finish line at Ironman Wisconsin and Mike Reilly told me I was an Ironman. I thought that would mean something to me when it finally happened. It didn’t. It still doesn’t three weeks later. I trained for over a year to complete something people tell me “is quite an accomplishment.” So, why don’t I feel different? I honestly thought crossing that finish line would change me in some kind of meaningful way. I thought it would answer some questions I had never had the courage to ask out loud. I thought I would be overcome with emotion. None of that happened. I crossed the finish line. I got a medal. And then... Then my life went on, but with a gaping hole in it. I had completed something I didn’t know I could complete. I was an Ironman. People wear that label around like a badge of honor for the rest of their lives. They get a tattoo so other people can show it off. I wish it was that simple for me, but it’s not. Becoming an Ironman was a point-in-time event for me. It started and ended in the same moment. The moment I crossed the finish line. The moment I realized that nothing had changed and nothing would change because I finished. I was not a different person that than I was the moment before I crossed the finish line. That’s not totally true. I am a different person since I finished Ironman. I am lost. I am drifting through life without any answers to the questions I set out to find the answers to at that finish line. At the moment I feel more like a victim of Ironman, than a victor. As I struggle to get out of bed each morning and search for the motivation to do my workout each day, I’ve realized something, my goal was never to cross that finish line. I don’t care about being an Ironman. I don’t care if anyone knows that I finished that race. I don’t care because for me, Ironman wasn’t a race. It was a 14 month journey of training, camaraderie, teammates, solitude, fatigue, fear, loneliness, friendship, pain and for the first time in my life, a sense of calm in my mind. A calm that comes from a daily fatigue that forces me to focus only on what matters in my life. A calm that comes from feeling like I’ve really lived each day. I’ve lost that calm and that glorious fatigue over the past few weeks as I’ve “recovered” from the race. Now, it’s time to find it again. It’s time to begin the journey all over again. Training for Ironman WI 2018 starts now. I didn’t change when I crossed the finish line, I changed when I took the first step in a very long journey to get there. 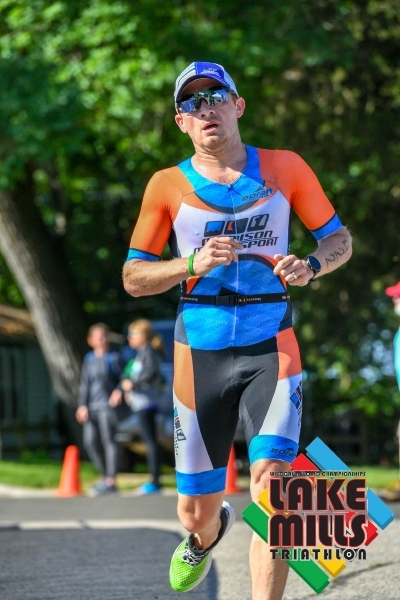 Ironman Wisconsin: Have I Done Enough? 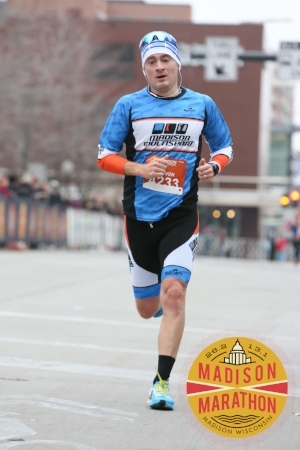 I’ve trained and raced with the Madison Multisport Team for the last year. I’ve worked harder than I ever have physically and I’ve been a type of exhausted that I didn’t know existed. I’ve spent countless hours with my teammates - more quality time with them this summer than with my wife and kids. I did all the workouts my coach assigned (and skipped some of them when my body told me I needed a break). I also raced. A lot. In the last year, I’ve completed 3 Ironman 70.3 races, 7 sprint triathlons, 2 marathons, the Horribly Hilly Hundreds 100K and 4 running races of varying distances. That’s an insane amount of racing. Yet, I still can’t say I have done enough. I don’t know that I have. I don’t know that I can swim 2.4 miles and then bike 112 miles and then run 26.2 miles. I don’t know that I can do it because I’ve never done it before. I have doubts every day. At times, I think I’ve committed to something I just am not built to do. I’m a big guy. Big guys aren’t endurance athletes. I also think a lot about failing, but I don’t even know what it would mean to fail at an Ironman. It’s a paradox. So, how do I convince myself I’ve done enough? Done enough to deserve to be on that starting line. Done enough to make my coaches’ investment in me worth their time. Done enough to hold my head high when I see my teammates after the race. Done enough to make all the sacrifices my wife made to make this possible worth it. Done enough to make my son proud when he hangs that medal around my neck at the finish line. The bottom line is that I can’t. I can’t convince myself that I’ve done enough. I can’t convince myself that I’ll be able to hit my goal times for each leg of the race. I can’t convince myself that I won’t fail. I’m genuinely afraid. 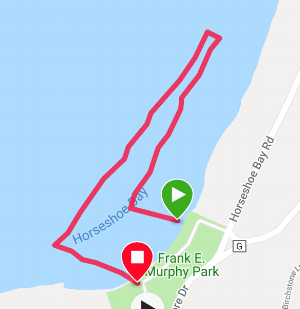 This is why you’ll find me starting a 2.4 mile swim at 6:55am on Sept 10, because I don’t know if I can do this and I want to find out. I want to know. I need to know and there’s only one way to find out. Dive in.